Zimbabwe’s tourism industry has started to pick up, with arrivals seen growing this year following the exit of former leader Robert Mugabe in November last year, while online booking platform, Airbnb, says visitors booking for accommodation through the application are mostly originating from Johannesburg and London. The country has dangled a $15 million (R185.22m) incentive facility for the tourism industry, central bank governor John Mangudya said last Friday. The Hotels Association of Zimbabwe said hotel occupancy levels during the December festive season increased from 85percent in 2016 to about 92percent in 2017. 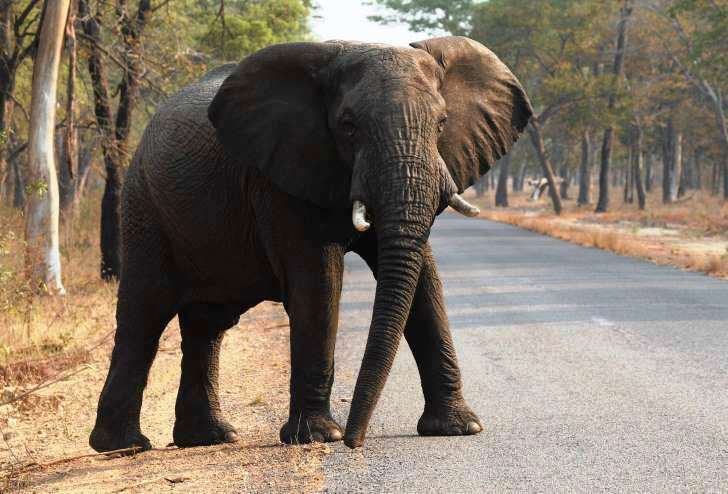 Traveller risk perceptions of Zimbabwe have worsened over the past few years, owing to poor road infrastructure, police roadblocks and political uncertainty that frequently turned violent. Zimbabwe’s tourism industry has started to pick up, with arrivals seen growing this year following the exit of former leader Robert Mugabe. But following the installation of a new administration in Harare, travel experts and government officials said the situation was now improving. Zimbabwe’s new administration has extended open arms to travellers to the country in a bid to grow the tourism industry’s contribution to the country’s economic recovery. “There has been keen interest in Zimbabwe, particularly after the events that took place in November 2017. We have seen growing demand for destinations, mainly in Hwange and, of course, Victoria Falls,” Mlandeli Ndlela, a safari operator with Sikiliza DMC, told Business Report. Other operators and tour experts say Zimbabwe’s Eastern Highlands have witnessed resurgent tourist arrivals in December and so far in January. Travel across Zimbabwe has become easier, with police roadblocks being whittled down and spot fines being stopped. Zimbabwe Tourism Minister Prisca Mupfumira said on Friday that “normalcy has returned” to roadblocks. “We need to have a re-look at our pricing strategies and competitiveness. Why should foreign travellers come to Zimbabwe to view the Victoria Falls from our side, just because we have the best view, and then go to Zambia where accommodation is cheaper – we need to do something as an industry,” Mupfumira said. Mangudya said the central bank had put in place a “strategy to reduce costs” through the incentive scheme, which is aimed at “enhancing the competitiveness” of the tourism industry. This comes amid concerns that hotel bookings in resort areas have ballooned to more than $200. The expensive pricing by the bigger hotels has boosted township tourism in Zimbabwe, with online booking platforms that integrate private residential properties for booking by tourists stepping up their offerings. Domestic tourism has also been on the rise. Tourism operators argue that the costing is a result of foreign currency shortages in the Zimbabwean economy. Mupfumira sees tourist arrivals topping 2.5 million by the end of this year, up from 1.7 million in 2012. Apart from this, Zimbabwe’s tourism industry has looked an attractive bet and has started to attract bigger and new operators. Great Plains Conservancy has expanded into Zimbabwe, opening three camps in the country’s resort areas such as Mana Pools and the Zambezi National Park. “Prospects are positive, although we need to invest heavily in marketing destinations, building infrastructure such as roads/rail and adopting a fully open skies policy,” said Ndlela.